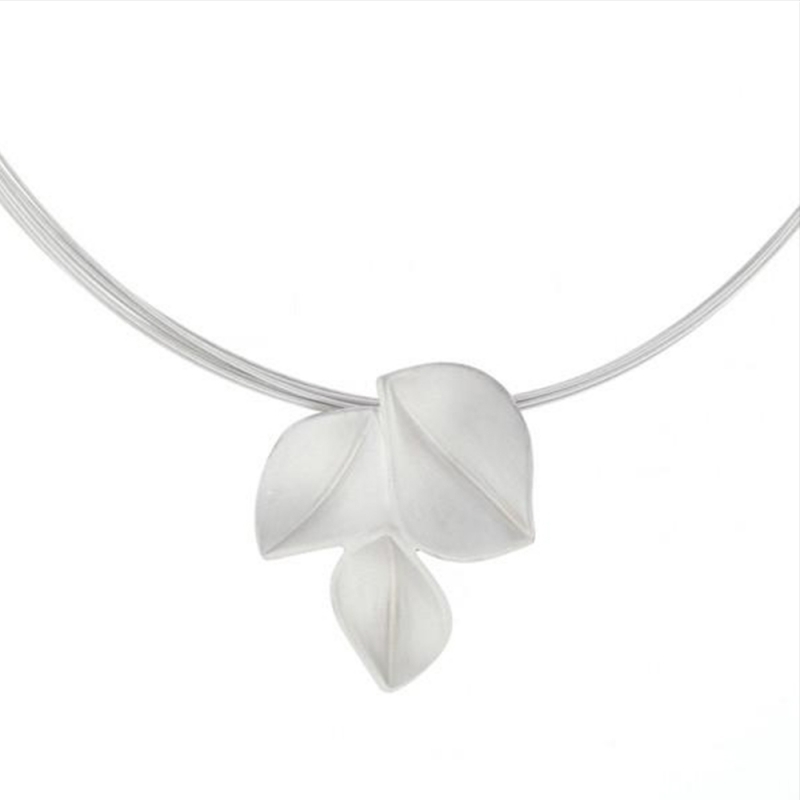 A lovely feminine pendant from the Leaf Collection by Nicola Bannerman. This neckpiece features three .925 sterling silver leaves, joined together to form a small triangular cluster. The leaves have a sandblasted finish on the front and are polished on the back. They hang on a white stainless steel cable with a sterling silver clasp. Measurements Pendant measures 27mm wide and 32mm long. Chain measures 45cm.